Once you set up your media monitoring project, you’ll probably be surprised by the amount of data collected by Brand24. I’m not talking only about the mentions containing your predefined keywords but also about the analytics section. 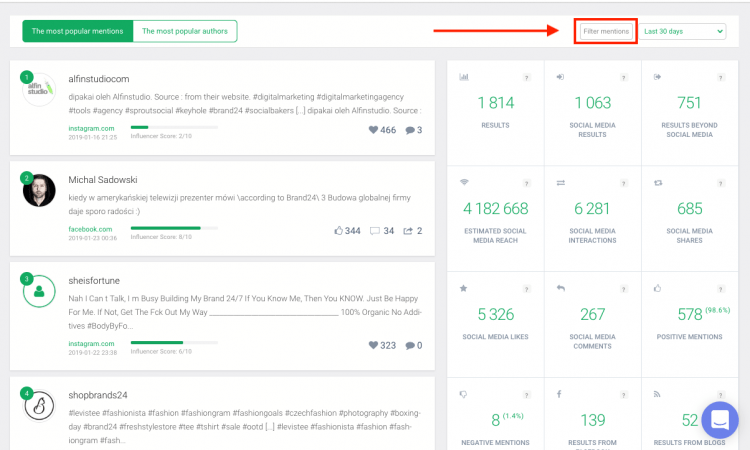 Brand24 is a great tool for tracking social media analytics. The amount of data gathered and analysed by Brand24 can be quite overwhelming. In an ideal world, you would have time to analyse the results and act accordingly. You would adjust your marketing message, improve customer service, or find the perfect influencers to promote your products. Unfortunately, we don’t live in paradise. To make your everyday tasks at least a bit more manageable, we create a great set of filters which will help you get the most our of Brand24 Analysis tab. In this article, I’ll show you how to combine two or more filters to get the most out of Brand24 Analysis tab. 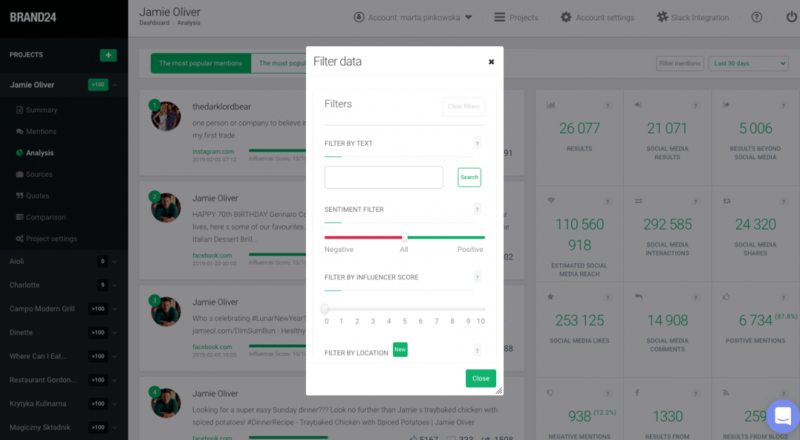 We developed filters to help you manage your social media listening projects. They may seem complicated at first, but once you have a grasp, everything will be as easy as pie! The filters in the Analysis tab are in the upper right corner of the screen. 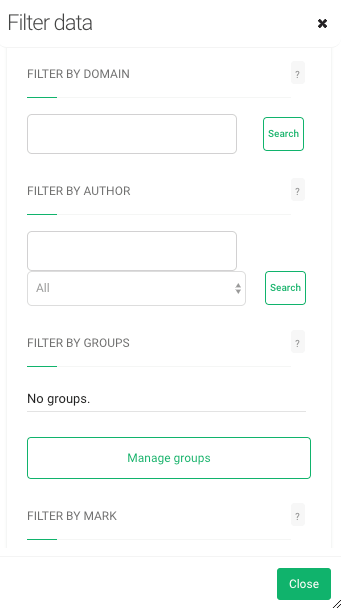 My colleague, Chia, prepared a post about time-saving filters that every social listening and social media monitoring tool should have. To get the most out of the Analysis tab, you can combine two or more filters. Information is power and thanks to Brand24’s filters you can extract precisely the data you need. Let’s take a look at some of the most useful combinations! That’s a combination especially useful for anyone interested in executing a successful influencer marketing campaign. Brand24 calculates the influence of social media authors and most active social media authors by default. You can examine their share of voice and influence. Combining a specific author with sentiment filter gives you much-needed important information. The share of voice is a measure of what part of the whole discussion was generated by a given social media author. It doesn’t tell you whether the talk was positive or negative. Some controversial topics tend to spark a lot of engagement, but often the respond of other social media users is quite negative. Choosing a controversial influencer who ignites a lot of negative emotion, can be beneficial to your business but it has to be an informed decision. Combining these two filters will also help with spotting any accounts that are constantly talking negatively about your products or service. You can fight Internet trolls and bots as long as you identify them in time. Identify the influencer you’d like to cooperate with. Type in the name of the influencer in the author filter. Brand24 calculates to a number of positive and negative mentions. You can further analyse the mentions by choosing the sentiment filter and taking a closer look at the chosen mentions. To choose exactly the influencer that goes with your brand tone and is a reliable person to your audience. Avoid nasty surprises by making the most informed decisions. To spot any Internet trolls or bots that are mentioning your company in a negative tone and to take preemptive measures against them. Filter by text let you find all the mentions you’ve already gathered that contain a certain phrase. For example, if you monitor the name of your brand, and would like to see all the mentions that include not only the name of your brand but also the name of a specific product, you don’t need to set up an additional project. You can filter the mentions you already have in your project. 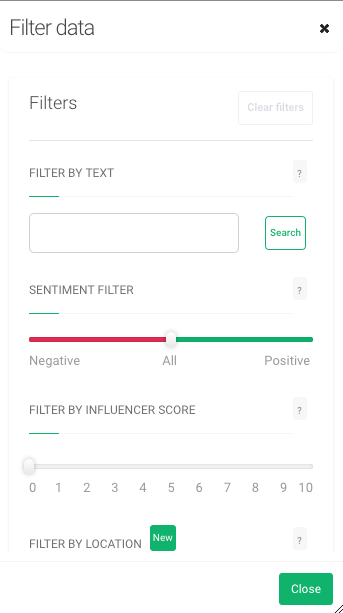 Adding the sentiment filter to the mix, you’ll know how people feel about your product on a more detailed level. How to use text and sentiment filter? Type in the phrase you’d like to analyse and click on search. Brand24 will show you all the mentions containing your predefined keywords and the phrase you just typed in. Choose the sentiment you’d like to examine further. To know how people feel about a specific product or service you offer, not only about your brand in general. Filter by domain lets you analyse results from a specific website, for example, Quora or Reddit. Adding the text filter to the mix will help you determine what type of content appears on particular channels. For example, Quora is a social platform where people ask questions regarding different topics. By combining these two filter, you’ll be able to see on which subject most of their inquiries are. That is an indicator that some content is missing from your website. By producing this content (be it a blog post, video, or adding some answers to the FAQ section) you will be able to position your website well in different search browsers. Another way to use domain and text filter to your advantage is to look for customers’ insights. After all, they are using your product every day and know best what they are missing the most. How to set up the domain and text filter? In the domain filter, fill in the name of the domain you want to analyse. Important notice – you don’t have to fill in the whole address, a name will suffice (e.g., quora not www.quora.com or quora.com). Click on search. Type in the phrase or keyword you want to explore more. You can spot the repetitive questions and prepare dedicated content that exactly match your followers’ needs. You can build your domain authority, increase conversion rates from your website and increase organic traffic. See what most of your customers are missing from your product or service and develop the features your clients want. Category filter let you examine the mentions from a specific source – be it a social media platform, blog or a news site. If you wish to, you can choose more than one category. Choosing the right social media platform can be a deciding factor for the success of your social media marketing campaign. If you’ve already performed a couple of marketing campaigns on different platforms, you should analyse the results thoroughly. In Brand24 you can examine the number of interactions from each social media platform. As a bonus, the tool will also calculate the sentiment of mentions. How to set up filter by interactions and category filter? Choose the category you’d like to analyse. You can pick more than one but, for more detailed results, I recommend you focus on one category. Fill in the number of interactions posts must have to show in the dashboard. You can enter the number of shares, likes, comments or choose only categories you’re interested in. By examining the number of interactions on different social media platforms, you can identify the social media channels where your audience is the most active. If you know what content sparks the most interactions on different social media channels, you can target your messages with greater precision. Brand24 monitors Google Reviews, Tripadvisor, and Yelp. Sites where thousands of people leave their opinions and feedback. A goldmine of customers insights. Combining these two filters will allow you to recognise your brand ambassadors – your existing clients who promote your business. We trust the recommendations of our friends and family much more than paid ads or influencer marketing. Rewarding your existing clients limits churn and spreads the word about your product to new audiences. Monitoring the negative reviews will also help you stay ahead of any social media crises. You’ll be able to solve problems before they escalate. How to set up filter by domain and sentiment filter? In the domain filter fill in the domain, you’d like to take a closer look at, for example, Tripadvisor. Slide the sentiment bar to positive or negative, depending on what mentions you’d like to analyse. Spot the emerging threats before they escalate into full-blown crisis. You can retain customers if you show them you genuinely care about their problems. Reward your brand ambassadors. They are the best promoters you can get who will not only stay loyal to your brand but also convince others to use it. 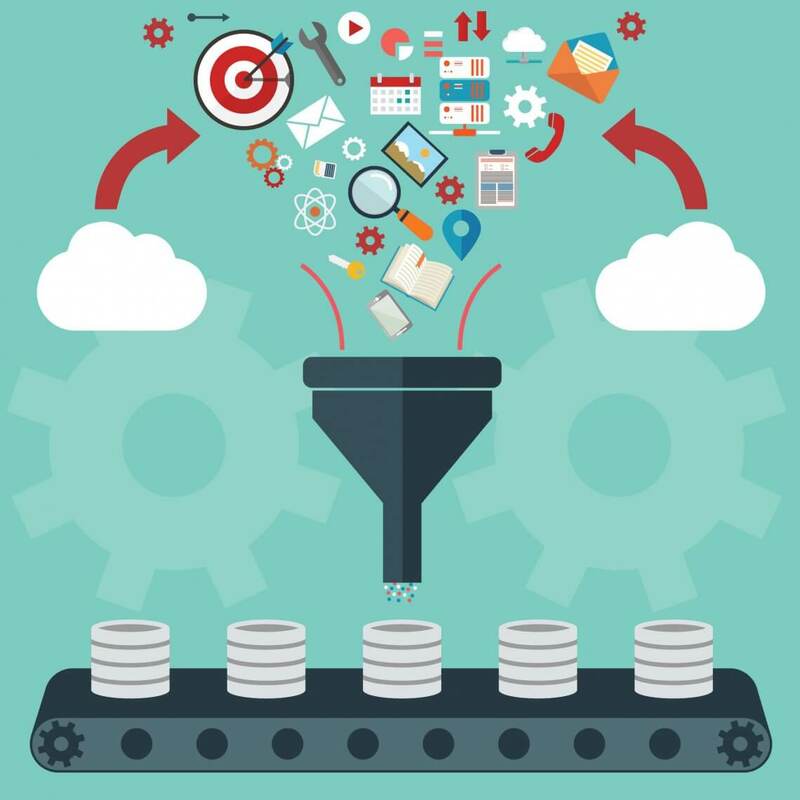 Combining two or more filters will help you get the most out of your media monitoring project. preparing a piece of content that meets your audience needs. How do you use filters in Brand24? Which combination has the most benefits? Share your experience on Twitter, LinkedIn, Facebook or Instagram!